The good people at The Quietus have posted up the new Anthroprophh video ‘Dead Man On The Scene’. 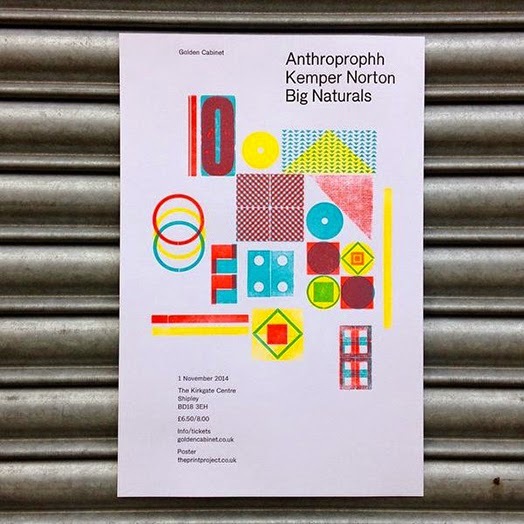 Check out this lovely letterpresses poster for tomorrow's Anthroprophh show in Shipley. As we have been repeatably saying the band are on fire live at the moment. 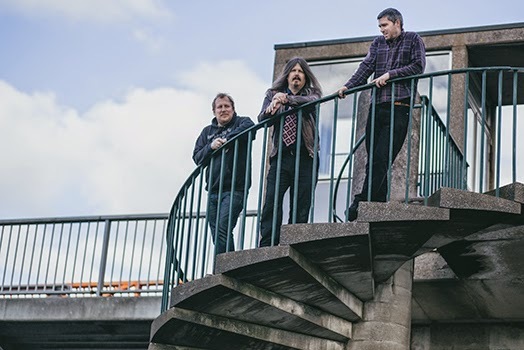 And it is not only us saying that, the members of Gnod have all openly claimed "that Anthroprophh are the best live band in the UK at the moment". Now that is an endorsement! Also you got the great Kemper Norton and a very rare live show by Big Naturals!!! The track Something Wrong is taken from the bands debut album Ostro which has just been repressed on yellow vinyl limited to only 300 copies. 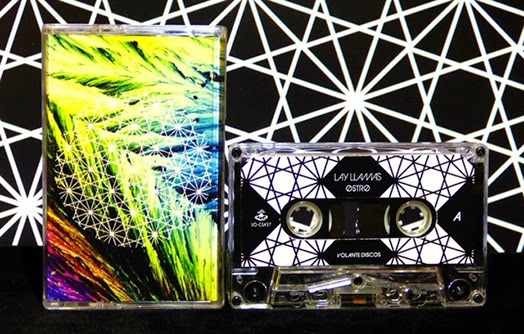 South American label Volante Discos has released a gorgeous looking cassette release of Lay Llamas debut album Ostro. The tape is ltd to only 50 copies AND contains an extra unreleased track. Q. When did Anthroprophh starts tell us about the history. Anthroprophh started about 2010 after a quiet moment in The Heads. I Had been busy editing archive Heads material for the Vertigo Swill and Enten Eller cdr releases and wanted to create something on my own with the recording equipment obtained. Something primitive, tribal with the various old instruments that I picked up over the years. It expanded into a three piece with Gareth and Jess and we started playing and recording in 2012. 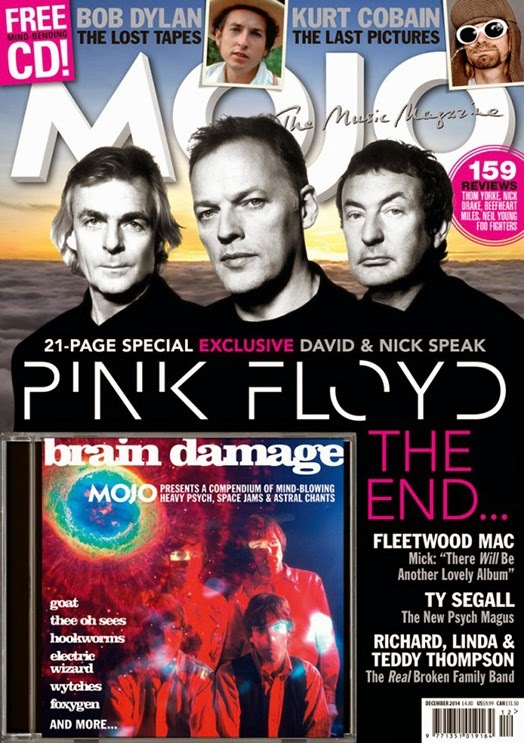 Pick yourself up a copy of the latest Mojo magazine and you will get a great CD cover mount compilation of contemporary psych that includes 5 tracks from the Rocket stable!! Anthroprophh, Gnod, Goat, Hills and Lay Llamas all feature, which is quite flattering for us! Obviously Mojo know good psych when they hear it!! GNODOROWSKY from KHOM on Vimeo. 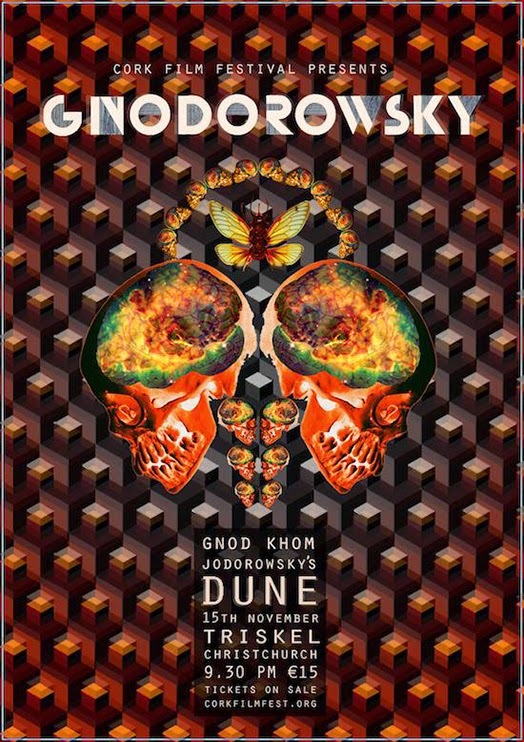 Europe’s premier purveyors of sonic devilment Gnod will create an imagined soundtrack to arguably the greatest film never to reach the big screen: Jodorowsky’s Dune. This unique event re-imagines the startling imagery, ambition and sheer cinematic psychedelia of the great director’s doomed attempts to bring Frank Herbert’s classic sci-fi novel to life. Working in tandem with visual artist KHOM, Gnodorowsky is a highly unique and multi-layered presentation of musical and visual abandon, a spellbinding calibration of film, music and imagination. 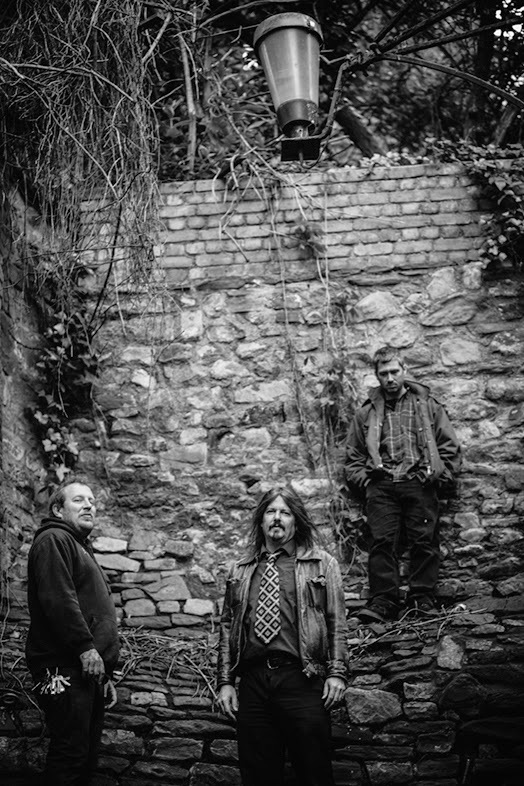 Gnod are an Irish/English/Portuguese space noise collective operating out of Islington Mill, Salford. Having formed in 2006, the band have received critical acclaim for their all-consuming live performances, collaborations and prolific recording output. The event is specially commissioned by Colm McAuliffe for Cork Film Festival. or in person at the festival box office from October 27th. 13 Careys Lane, Cork. +353 21 421716. 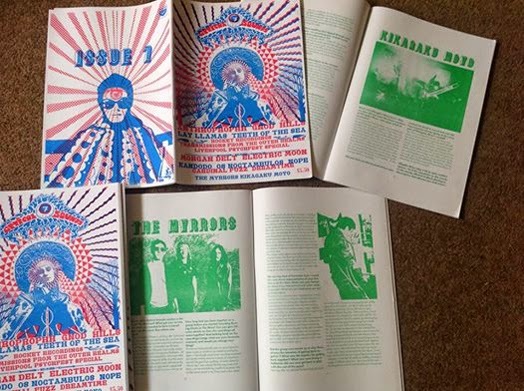 The amazing Optical Sounds has a new issue out and it features a massive piece on Rocket and out bands to tie in with the recent Liverpool Psych Fest. 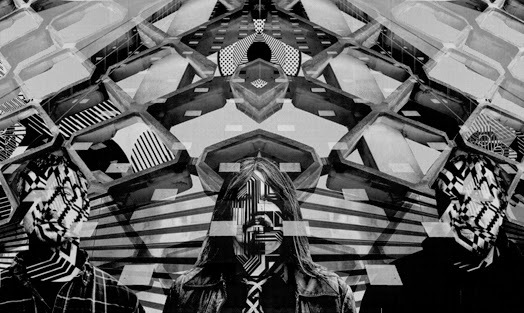 It includes interviews with Anthroprophh, Teeth of the Sea, Gnod, Lay Llamas and Hills as well as lots of great pieces on new and old underground psych. Also available are represses of Goat's 'World Music' and Lay Llamas 'Ostro'. Plus we have last copies of Teeth of the Sea's - A Field in England and Goat's Commune on Gold vinyl. 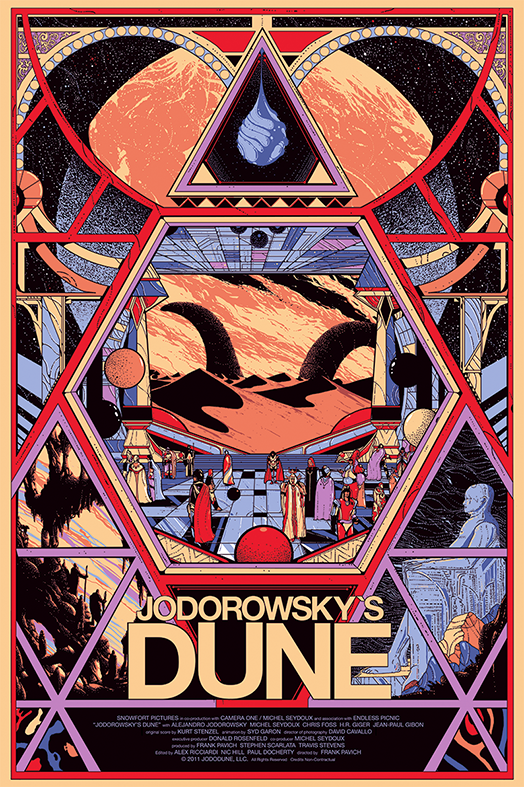 The Quietus have written a piece on the Cork Film Festival where as we mentioned before, Gnod are going to be performing with Khom a live soundtrack to the amazing Jodorowsky's Dune. Going to be an amazing event. And if tonight you are lucky enough to be ayr Supermassive festival in Helsinki, make sure you enjoy Gnod who are playing live!! The Heads have just reissued their second album, the ferocious frazzle of Everyone Knows We Got Nowhere. Paul Allen left the band a while ago, and at first he spent time building up a terrifyingly large record collection and enhancing his psychic know-how. 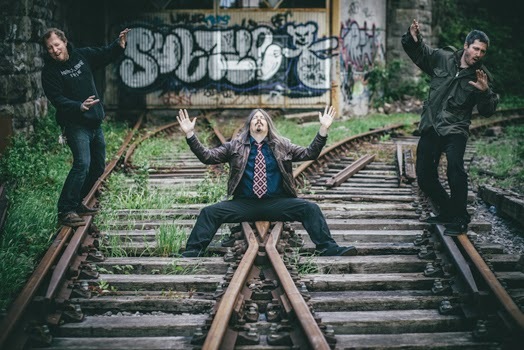 He then formed a band with Gareth Turner and Jesse Webb called Anthroprophh, who have now unleashed their second album Outside The Circle, and like The Heads best work, it's enough to send your head in a spin, only this time with a few surprise twists and turns. Take second track 'Dead Man On The Scene', which mentions the word 'Anthropocene', a term coined by ecologist Eugene F. Stoermer intended to describe the epoch when human activities like pollution began to have a significant global impact on the Earth's ecosystems. The word hasn't been fully adopted as official nomenclature by the scientific community, and of course there's some debate as to when this era actually began. Nobel Prize winning atmospheric scientist Paul Crutzen argues it's around the Industrial Revolution…. 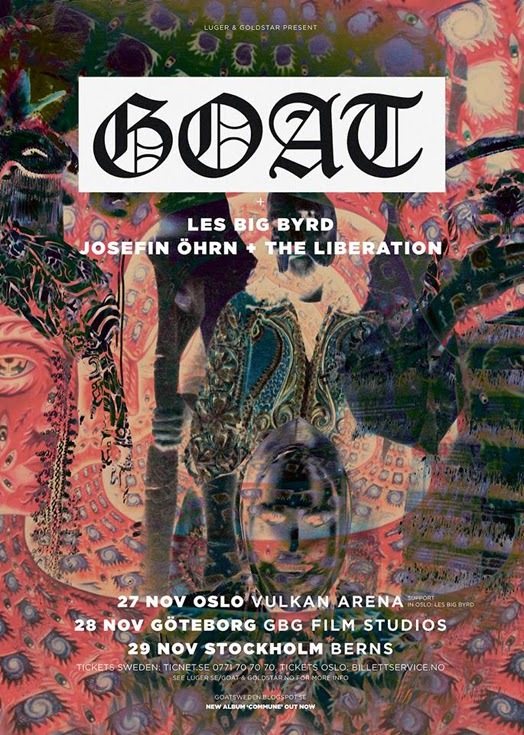 Fresh from their first ever European tour, Goat are finishing the year off with three shows in their home country of Sweden. "Psych legend Paul Allen strikes solo as Anthroprophh with new album Outside the Circle. Louder Than War’s Ben Tansey reviews. Paul Allen of Bristolian legends The Heads has teamed up with Gareth Turner and Jesse Webb of Big Naturals to deliver an album of contemporary psych that draws just as much inspiration from punk and alternative rock as it does Syd Barrett, 13th Floor Elevators, Hawkwind and anything off the famous Nuggets compilation. From the hypnotic riffs, early Black Sabbath vocals and frenetic fretboard fireworks of album opener Returning until the solitary organ of New Impossibilities Part 3, ‘Outside The Circle’ unashamedly flies its freak flag high for all to see. Allen’s voice undulates with liquid phase; drones ring out in to space and crash into rocket ship synths; guitars screech and wail and sing amidst cacophonous soundscapes. Every note and beat hold within them a sense of malevolence, as if the band are poised on the edge of madness. Some of the songs feel like a cathartic release, an act therapy, or perhaps even exorcism..."
Goat live is Brussels 21/09/2014 – FULL SET!! 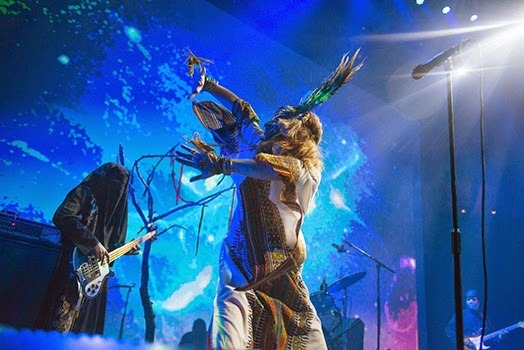 If like us you are missing watching Goat play live every day then it is well worth watching this great 'professionally filmed' footage of their their full Brussels show at Ancienne Belgique on their very recent European tour. The versions of Run to your Mama and Words are simply stunning!! What is Goat's favourite Kraftwerk album? Vinyl Factory asked Goat 'What is your favourite Kraftwerk album? And one member of the band replied and gave a very enthusiastic opinion. 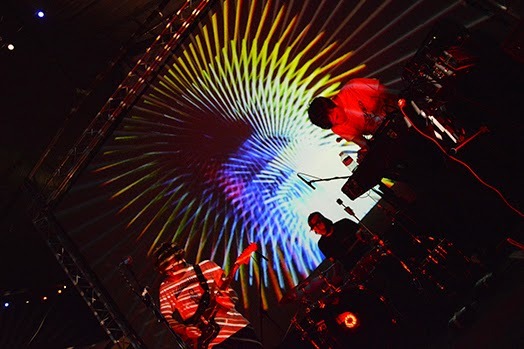 The amazing Hills blew minds at Liverpool Psych Fest, their first ever live show outside of Scandinavia. Here is a taster of their set…. Like label mates Goat, Italy’s Lay Llamas combine spacey grooves, Afro-futurism and a nice line in self-mythologising. Currently touring the UK in support of the mysterious Swedes/Sicilian duo Nicola Gunta (founder, live bassist) and Goiele Valenti (lyricist, singer) discuss debut album Ostro and their intriguing stew of influences. The Lay Llamas love a good yarn. They claim to be space travellers from a Nigerian tribe, dedicated to the search for a higher consciousness. 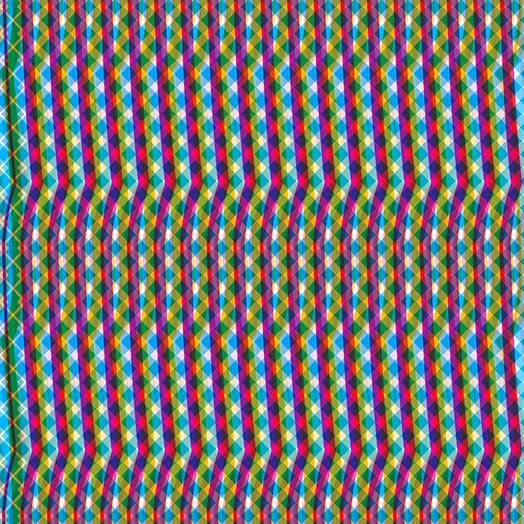 But anyone expecting their spacey krautrock grooves to originate from a band of addled longhairs are in for a shock. 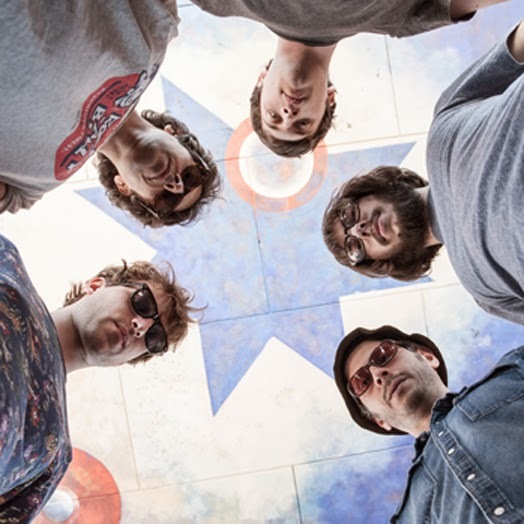 In person, the band’s Sicilian founder and bassist Nicola Gunta and lyricist and frontman Gioele Valenti are young, fresh-faced, charming and enthusiastic - a long way from anyone’s stereotype of a psychedelic outfit. Here is the first official video of a track from Goat's new album Commune. This ‘Hide From The Sun’ was directed by Sam Macon and features artwork from Stacey Rozich (character illustrations in Fleet Foxes “The Shrine / An Argument”). Sam and Stacey collaborated closely to create a dark, psychedelic, mythical trip across three distinct worlds. As Sam states, " It isn't a story set in the past, nor is it a story set in the present or future. It simply exists in its own realm." To us it has a bit of a Mighty Boosh feel which is something Goat are big fans of! 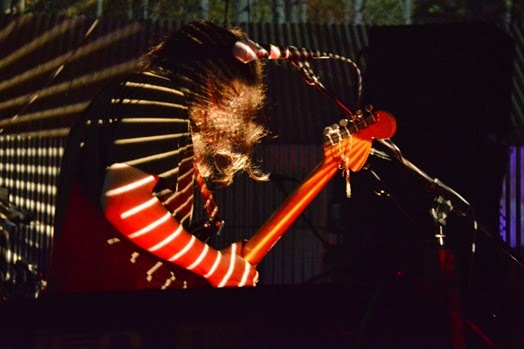 The second night of the Two-Headed Dog festival saw promoters Bad Vibrations and Baba Yaga’s Hut showcase four bands from all over Europe for a bargainous price. Italy’s Lay Llamas are label mates of Goat, with a similar love of a bonkers backstory and a love of postmodern ethnographic japery. Bearded isn’t entirely sure that they have travelled to the Shacklewell Arms via late 21st century Nigeria and outer space - but it’s glad they have made it back in time to share their spacey grooves with us. Frontman Gioele Valenti leans into the mic, playing a variety of percussive instruments as he intones the band’s simple, mantra-like lyrics. His fellow Sicilian and band founder, the boyish Nicola Giunta, lays down solid basslines as the set builds from a steady start towards an increasingly uptempo climax. ‘We Are You’ is perhaps their most anthemic tune, pulsing and hook-filled. 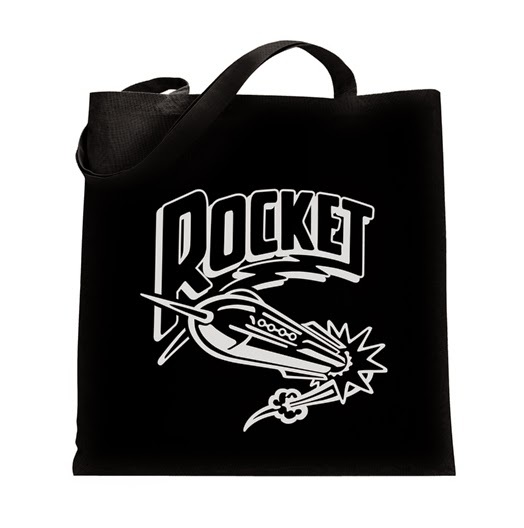 It is also surprisingly accessible - the basslines anchor the tunes, so that while the melodies may spin off into the cosmos, the Llamas never get too noodly. There’s plenty to get heads nodding and feet moving here - the crowd gets ever more enthusiastic, and the tempo speeds up. Only a broken string prevents them giving the crowd the encore they demand. This is music to get lost in, aided and abetted by the venue’s impressive sound system. The Llamas say their next album may sound quite different - it’ll be fun finding out. 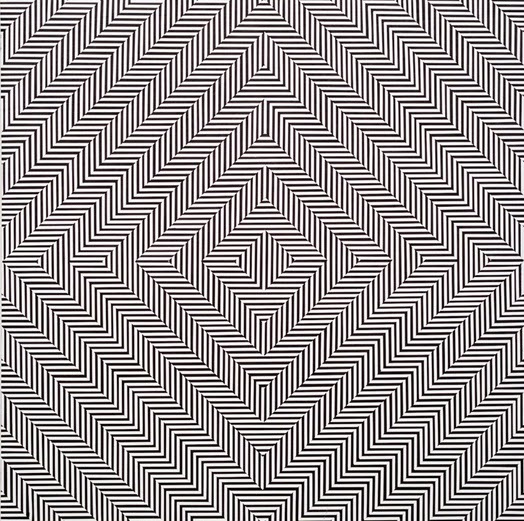 "Ready for brain-melting? Anthroprophh’s got the goods to break your mind in all the right ways. Born from the degenerate psyche of Paul Allen (of The Heads), Anthroprophh deliver a three-quarter-hour of power on the band’s second full-length release Outside The Circle. It’s an insane, layered roller coaster of garage, drone and old school progressive rock, and boy is it hot. Outside The Circle opens with a manic frenzy on the six minute-plus Returning, a track that features Allen’s krautrock-esque vocals that harken back to his previous output and channels the affected delivery of Can’s Damo Suzuki, especially on Tago Mago. It’s followed by Dead Man On The Scene, where Allen amps up the stoner vibe and puts some sound bites in the mix. The vocoder is a nice touch – a weird one, but come on, was anything less expected? The bass-heavy Space Box Zonk Machine (a title fit for Frank Zappa’s next posthumous release) is no place for the faint-hearted. 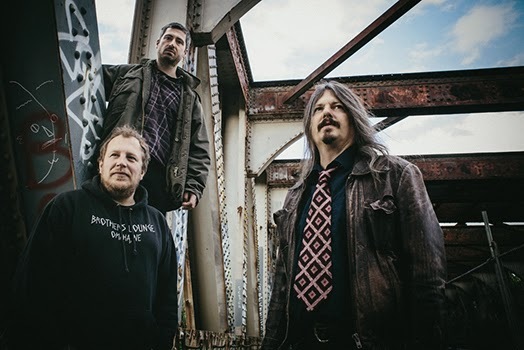 It lapses into a sludgy Melvins riff and some carefully applied post-punk electronic effects from early Killing Joke or The Fall. It bleeds into the next track Dog, which was an unnecessary separation as Dog pretty much carries on the same melodies and vibe as its predecessor with no changes…"
Following on from their retrospective of Alejandro’s Jodorowosky’s work, Cork Film Festival are very proud to present this exclusive live music and visuals with Gnod and visual artist KHOM. 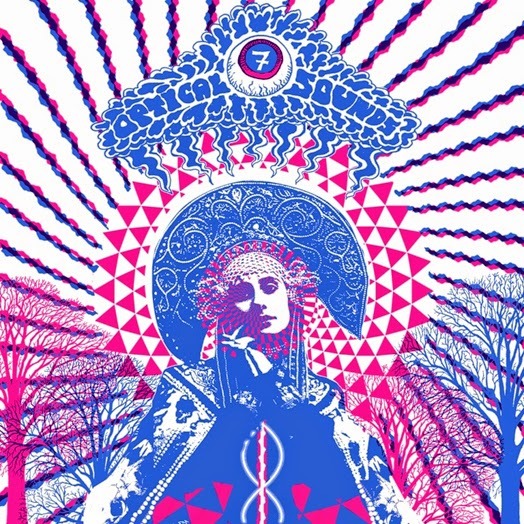 Need to come down after Anthroprophh's amazing set at Liverpool Psych Fest? Well here's the perfect antidote, the bands latest video 'See'. The video see's the band turn their heads towards the more mellower side of things and was made by Prophh himself using found vintage 35mm film. In support of Anthroprophh's new album Outside the Circle, the band will also be playing a rare London appearance supporting the great Evil Blizzard at the Red Gallery in Shoreditch on 11 October. Anthroprophh's - Outside the Circle album is available in all good record shops & download. 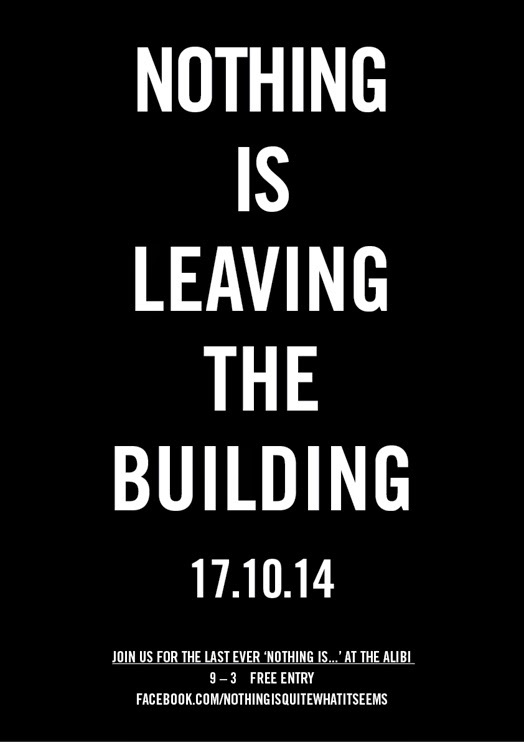 We are sad to announce that the last ever 'Nothing is...' at The Alibi in Dalston, London will take place on Friday 17 October. The monthly night of eclectic cosmic craziness known as 'Nothing is...' is the Alibi's longest running night and it has called it home since the club opened nearly 5 years ago. In that 5 years the core collective of Cherrystones, Jamie Paton (Cage & Aviary), Chris Reeder from Rocket Recordings and Mike Keeling (better know as Little Dirty) have been joined by some great guest DJs that have included the likes of the mighty Powell, Teeth of the Sea, Gnod, Plastic Crimewave, Gum takes Tooth and many others! "We are gutted to be leaving Alibi as the people who run the place are great bunch and it is perfect space for our night, but Jamie recently announced that he is moving to Amsterdam so we can't really continue without a core member. Though this isn't the end of 'Nothing is...' we will still do one-offs like we did recently at the amazing Liverpool Psych Fest - where we closed the festival. So watch this space, 'Nothing is not finishing for ever." And they all agree that one of the best bands of the weekend was the sonic assault of Anthroprophh. Lay Llamas follow their successful tour with Goat with a headline show at Shacklewell Arms with a great list of support bands in toe. 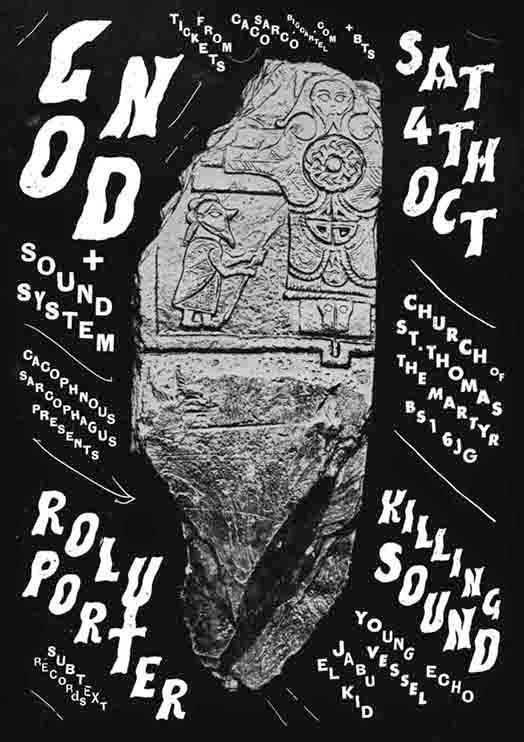 After Gnod's stellar performance at Liverpool Psych Fest, the band go out on the road for a few gig dates in October. 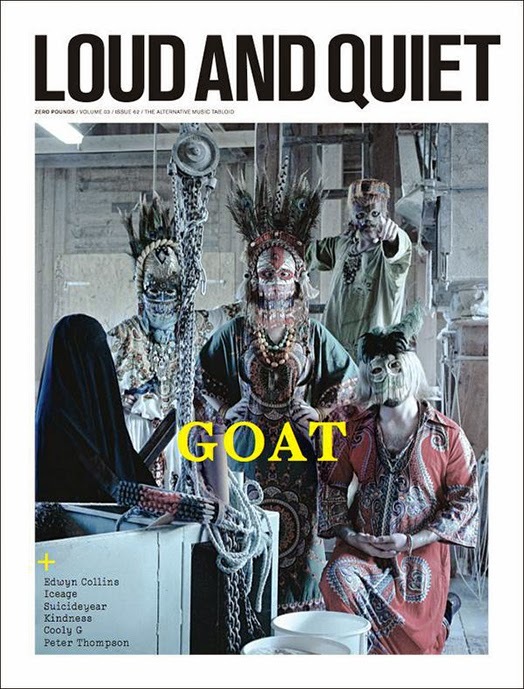 Goat appear on their first ever cover on the next issue of Loud and Quiet, out on Saturday.